Are you a coach or team parent with a big game or competition coming up? Are you a member of a cycling team with a race around the corner? Book one of our private Team Tune Ups! 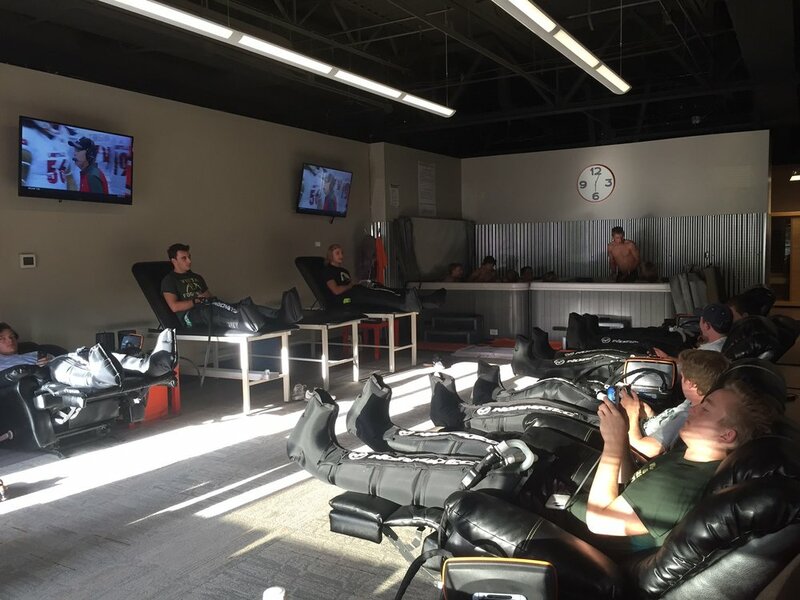 Team Tune Ups have been utilized by numerous teams for pre and post competition treatment. Please contact us at info@rxsportsrecovery.com OR call 720-389-9663 to schedule. Offered on weekend evenings or weekday mornings only. Cost: $150/hr. 10 athletes minimum/18 maximum. Take the team through the whole routine. This event option is great exposure to the favorite state-of-the-art treatment modalities at RX Sports Recovery. Treatments include contrast therapy (hot & cold whirlpools), NormaTec compression, and use of all our myofascial tools such as the new Theragun and Hyperice vibrating foam rollers. Recommended for teams with soreness and fatigue. Cost: $200/hr. 10 athletes minimum/16 maximum. This event offers the Rookie package plus Compex muscle-stim, ATC on site (sports medicine professional), Kinesio-taping, cupping, and dry needling (as requested, fees apply). This event is intended to help remedy lingering injuries, patch up acute problems, and re-energize the team for competition. Recommended for teams with specific issues beyond soreness and fatigue. NOTE: If the amount of athletes exceeds the maximum, we recommend booking 2 hours. Not all treatments are guaranteed within the scheduled time limit. Please schedule appropriate amount of time to accommodate needs of the team.